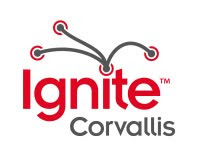 Ignite Corvallis: We Want YOU To Present Your Ideas At Ignite Corvallis 2! 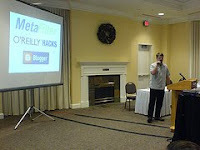 We Want YOU To Present Your Ideas At Ignite Corvallis 2! Do you have a burning idea that you want to share? How about some knowledge you want to drop on Corvallis? Maybe you just want to make people laugh? Then we need you to submit your Ignite Corvallis 2 Proposal! The deadline for proposal submission is Thursday, October 15th. 1.) Ignite hones ideas. Taking an idea from something you're kicking around to something you have to present to an audience forces you to refine your ideas. It's a way to make yourself spend some time solidifying and creating something valuable out of them. There were a ton of people at the event, and yet there was a great (dare I say) forgiving tone to the room. Everybody was excited, and in a way, living vicarously through the presenters. They're less spectators, and more participants. But it is a spectacle none the less. I was scheduled right in the middle of the roster. Fortunately, before my turn, there were several funny presentations to loosen up the room and also calm the nerves in the dugout. We need your help to make Ignite Corvallis 2 a fantastic event. If you are interested in being a presenter, please submit your ideas! The deadline for proposal submission is Thursday, October 15th. We hope to see you at Ignite Corvallis 2!